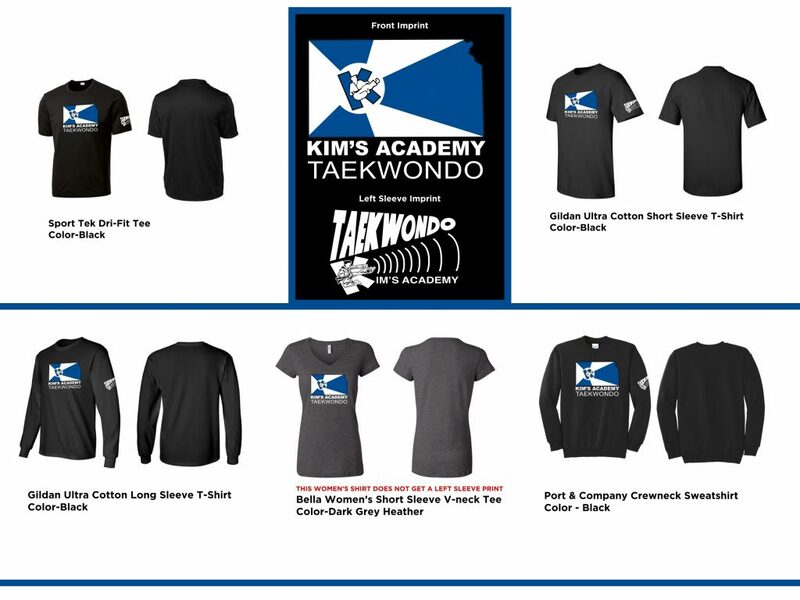 The Kim’s Academy Black Belt Association is pleased to announce new apparel for 2019! The apparel features a design that incorporates the flag of the city of Wichita and Kim’s Academy Logo, within the shape of the state of Kansas. We will take orders in person at the test on February 15 & 16. Leave order form and payment in an envelope marked “Shirt order” in the KABBA can at the main school.